We're just about out of popcorn, and being out of popcorn is not acceptable. Fortunately, Sherry just planted this year's crop. What? You don't grow your own popcorn? You should - it is easy to do, and tastes great. We grew it for the first time last year, and now it is firmly planted on the list of items we no longer need to buy. Growing popcorn is a lot like growing regular corn - only easier, since you only need a tiny patch. Well, I guess that depends on how often you eat popcorn... For us, though, a 3 by 4 foot square area was plenty. 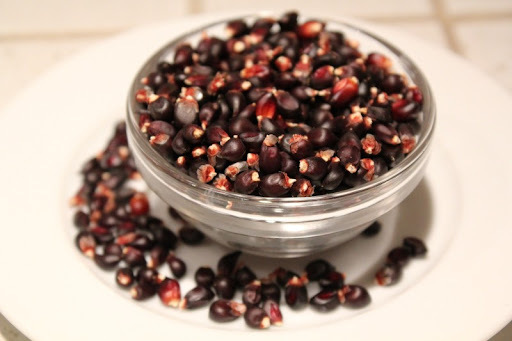 We chose Dakota Black Popcorn, from Seeds of Change as our starter seed. It germinated well and grew quickly into six foot stalks with two small ears each. In mid-summer came the hard part - waiting for the corn cobs to completely dry out. 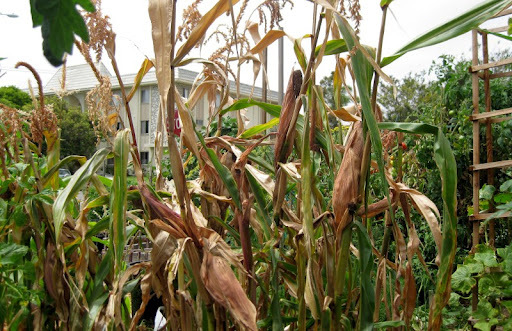 You need to leave it on the the stalk until the husks, cobs and kernels are nice and dry before harvesting the ears. Once off the plant, we set the ears aside for another couple of weeks to fully dry the cob. Then all that remained was to pop the kernels off the cob, discarding any damaged ones. This task is a bit tedious, but was easily accomplished over several evenings while watching TV or a movie, using a large paper bag to catch the seeds. For this year's planting we used select seeds from last year's batch. Gourmet popcorn on the cheap! The dark bits you see aren't burned - the dark kernels just make it look that way. 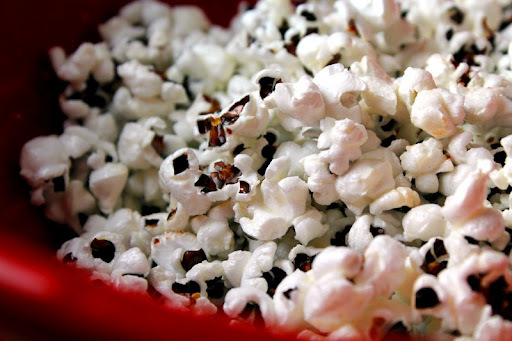 We find that this popcorn has a more interesting texture and flavor that your typical store-bought variety. If you don't have a garden, or just aren't interested in growing your own, we still recommend trying this kind of popcorn. Before we started growing our own, we used Boulder Popcorn - you can buy from them online. Wow that is so cool! 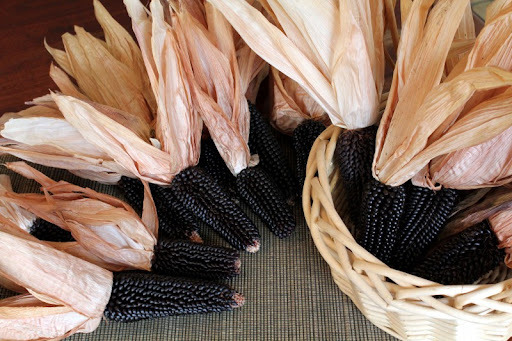 I would have never thought to grow my own kernels. It didn't occur to us either until recently, but it is easy to do and the results are great. 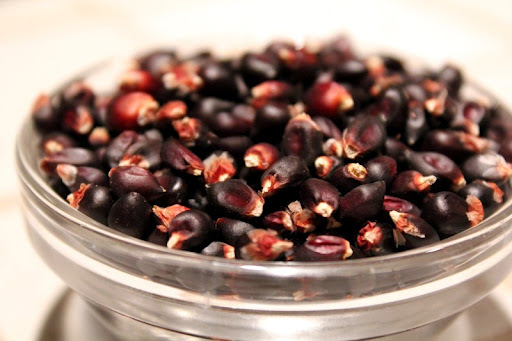 I always have to have popcorn kernels on hand, but I never thought about growing my own! I'll be sure to dedicate a section when I start my garden! Definitely give it a try - it is different (and I think better) than what you can buy at the store.